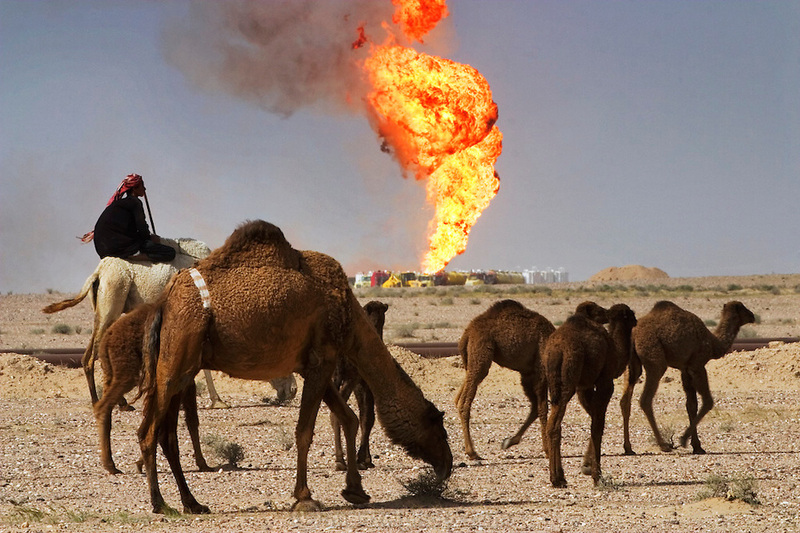 Bedouin camel herders and their flock with an oil well fire blazing in the background. Hundreds of camels graze around the fire in the Rumaila field being worked on by Boots and Coots. The Rumaila field is one of Iraq's biggest oil fields with five billion barrels in reserve. Many of the wells are 10,000 feet deep and produce huge volumes of oil and gas under tremendous pressure, which makes capping them very difficult and dangerous. Rumaila is also spelled Rumeilah.